During the close of each year, the color experts at Pantone select a shade to become next year’s Color of the Year. For 2017 the vibrant yellow-green hue Greenery has been chosen. Read on to learn more about this process and practical applications of this color in your daily fashion selections! The color experts at Pantone don’t select a Color of the Year easily. It’s a careful choice, influenced by trends in culture. This will reflect elements of the fashion world, of course, but also elements of how designers across the spectrum of society utilize color in their works. It also reflects the mood of people. Typically, only one color is selected. Occasionally, two are selected, such as in 2016, when Rose Quartz and Serenity were nominated as Pantone’s Color of the Year. Greenery is a shade symbolizing rebirth. In a topsy-turvy world, it evokes the elements of early springtime, when the world is charged with possibility and hope. It reminds us to take a moment and simply breathe. The color reconnects us to the natural world and the things we might find missing as we become engulfed with the technology around us. What Gem Pairs Best with Greenery? The world of gems is rife with green stones. An ever-popular color, there is no shortage from which to choose. Emeralds are perhaps the most famous green stone, but simply too dark. Plus, they lack the necessary yellow element to produce the happy tone seen in Greenery. Malachite, with its hypnotic bands of color, also comes to mind. Sadly, this stone also misses the mark when compared to Greenery. Jade, Amazonite, Moldavite, they all too fall short as a partner. Peridot, however, encapsulates the spirit of this green perfectly. The olivine color personifies the elements of spring present in Pantone’s Color of the Year for 2017. Peridot gems are perfect for anyone needing a quick and easy way to inject a spot of hopeful color into their everyday wardrobe. 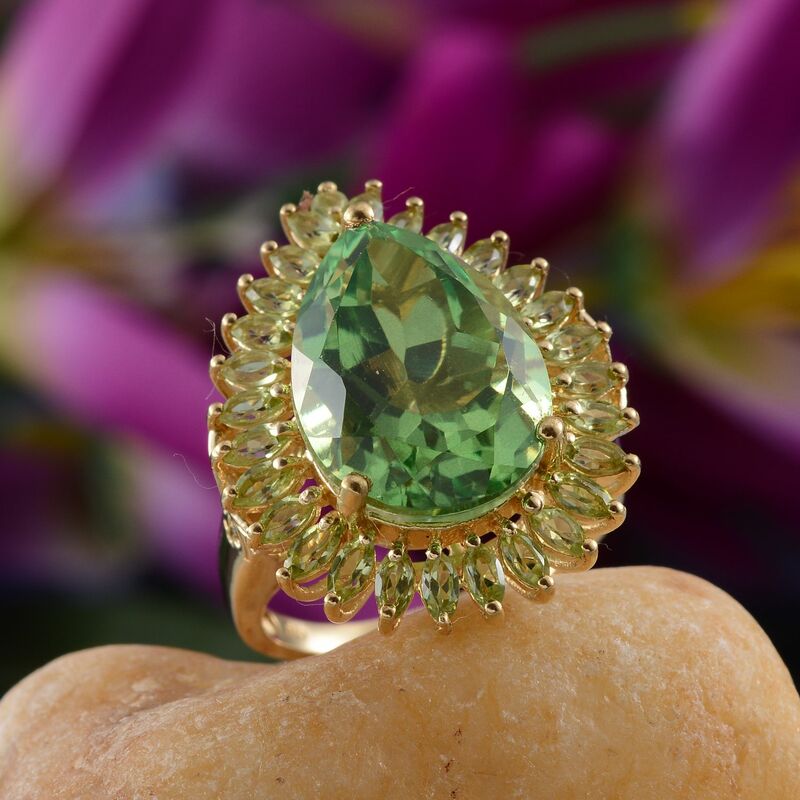 Premium peridot is offered by Liquidation Channel, from the Hebei Province of China. Alternately, one can also consider chartreuse quartz. 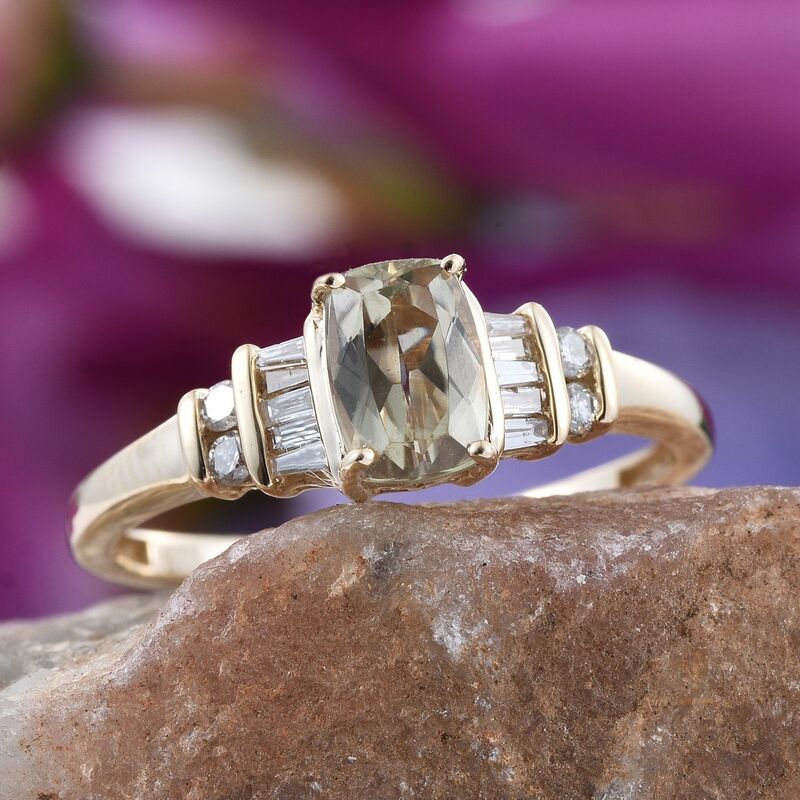 This gemstone is a triplet gem. It is constructed from layers of natural rock crystal, with the middle layer being colored. The top and bottom layers provide protection, while simultaneously highlighting and enhancing the color within the jewel. Chartreuse quartz is exclusive to Liquidation Channel and is an excellent choice for fans of peridot. 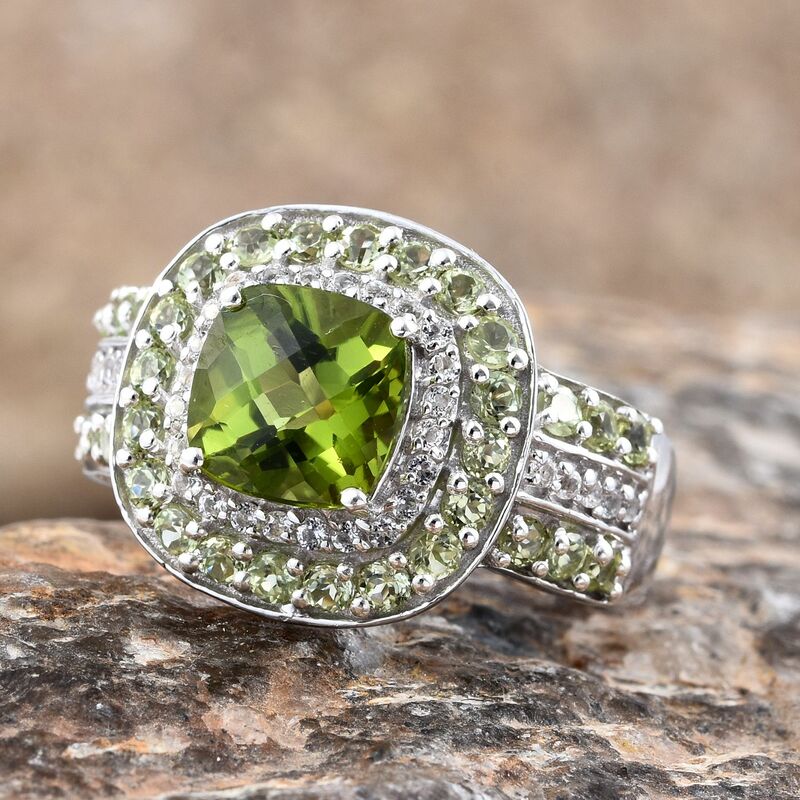 Whereas peridot is not always seen in larger sizes, chartreuse quartz fills that gap, while remaining affordable for anyone wanting a big, blingy gem. Peridot might best exemplify the subtle nuances present in Greenery, but consider these additional gemstones if you’re looking for a slightly more unique take on this shade. Every gem offers unique qualities that make them fun to collect, appreciate, and own! Sava Sphene – This trichroic gemstone can display different colors when viewed from different angles. Sphene will frequently show an intense yellow-green in many specimens. With a high dispersion of light, this is your choice if you love glitter! 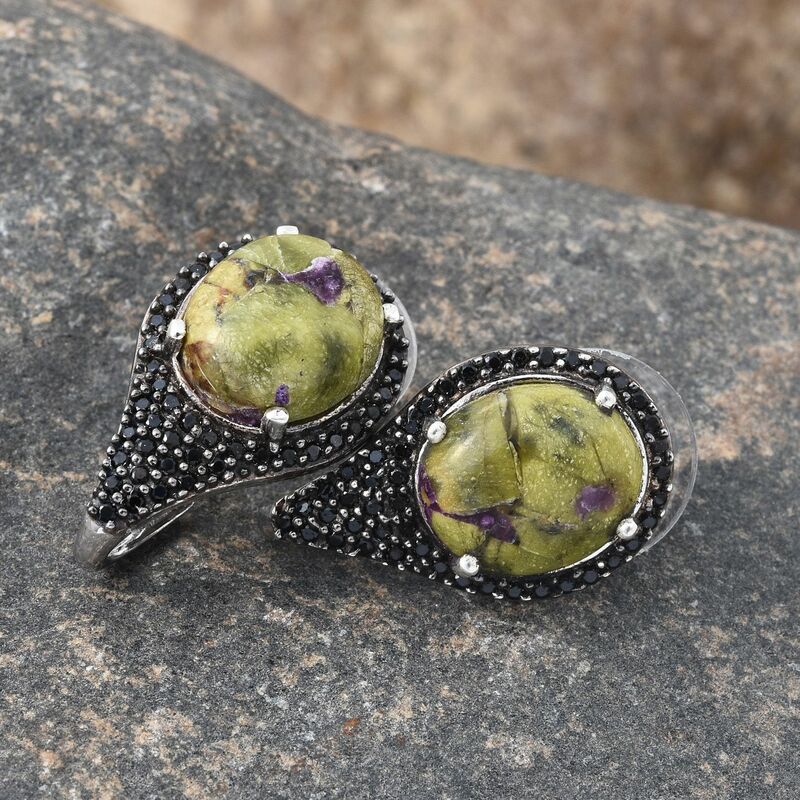 Tasmanian Stichtite – A combination of green serpentine and purple-pink stichtite, consider adding this earthy gem to your spring selections. These colors also mesh well with Pantone’s Spring 2017 palette. 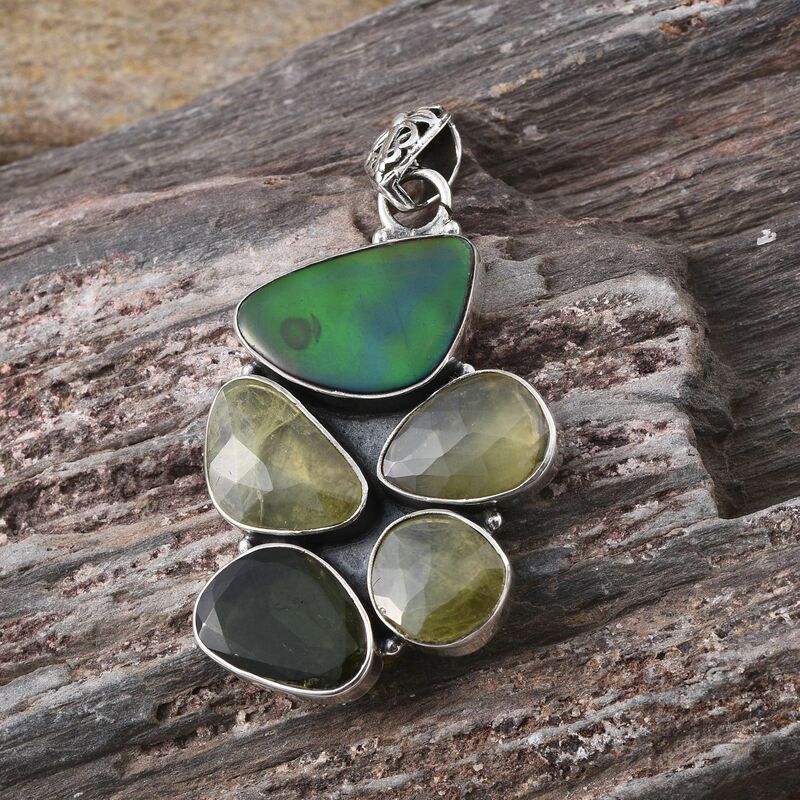 Turkizite – Another name for diaspore, turkizite is a color change gemstone! As the gem transitions from day to night, witness the color change of the jewel as it transforms from soft kiwi greens to champagne pinks in the changing light! How Can I Use Greenery? As the selection for 2017’s Color the Year, expect to see Greenery crop up everywhere! And even though it’s also found in Pantone’s Fashion Color Report Spring 2017, it is not a seasonal color by any means. Pantone tells us that Greenery is “nature’s neutral.” What they mean by this is simple. Consider this. In our modern world, we’re surrounded by our creations. Despite our proliferation and success as we spread across the globe, spots of green always exist. Sometimes it’s introduced as the result of planning, such as the park near your office. Other times, it might be that stubborn weed firmly planted in your driveway. Mother Nature reminds us of her presence in our daily lives. Greenery is a reflection of this vital fact. The shade is “trans-seasonal,” just meaning that it won’t be confined to a particular time of the year. Pair it alongside neutrals, brights, deeper shades, pastels, and metallics effortlessly. Utilize Greenery as your spot color in daily wear, allowing you to stretch the use of your neutral basics, adding mileage and purpose to those essentials. Accomplish this with an item like a ring or scarf, or any other similar, easy-to-wear accessory. Consider this option as your best bet if you want only to dabble and flirt with fashion, without making a strong commitment to updating an entire wardrobe. When making their announcement, Pantone developed ten creative palettes, each showcasing a unique way in which to make the best use of the color, whether from a perspective of design, fashion, or other creative pursuits! Our favorite was the “Transitions” palette. This selection of colors presents eight shades that work well all year long. They are perfect for moving from season-to-season as Greenery leads the way. Notably, this group includes 2016 Color of the Year entries Rose Quartz and Serenity. If you’ve been following color for a while, you’ll luck out when experimenting with these shades, as you’re likely to already own pieces in both colors. They’ll also be ideal for combining into the Spring 2017 and Fall 2017 palettes when appropriate. Still hungry to learn more about Greenery, and how you can use it all throughout 2017? Consult these resources for additional tips and tricks. Read Pantone’s Color of the Year 2017 announcement. Check out our Spring 2017 Gemstone Guide Pantone Color Report. Explore the world of gems and more through our Education Center.